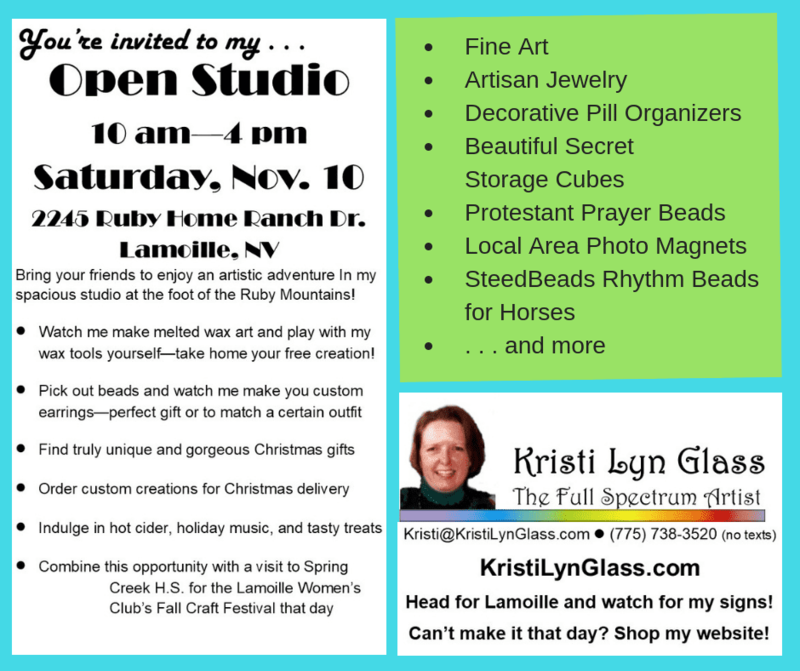 I recently created the above 9 sets of Protestant (Anglican) prayer beads and posted them for sale on my website, just in time for my annual Open Studio event this coming Saturday (11/10/18). 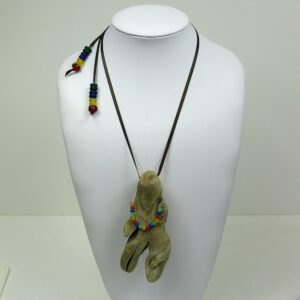 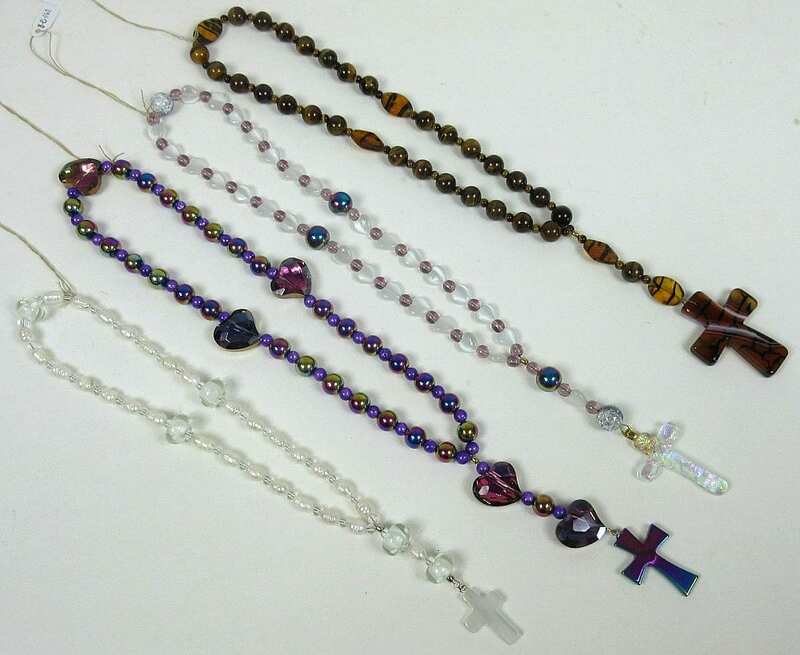 In the process of composing this blog post, I discovered I neglected to tell you about the prayer beads pictured below that I created about a month ago. 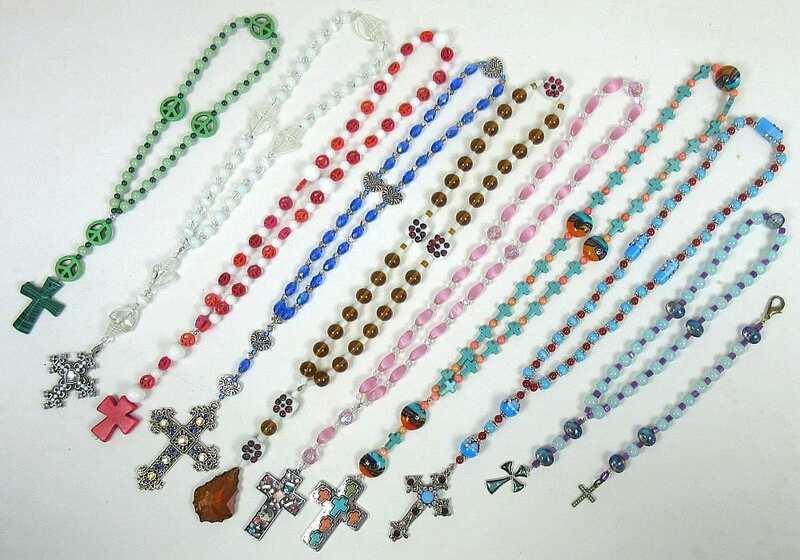 That means 14 new sets of prayer beads and one new chaplet have been made available for sale recently. 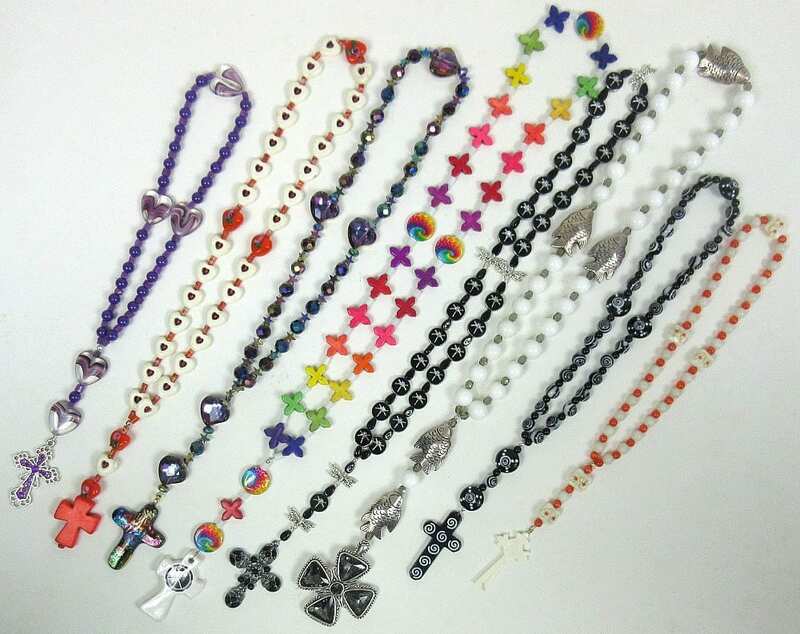 This group contains some special favorites of mine, including the Rainbow Purple Hearts Prayer Beads shown below. 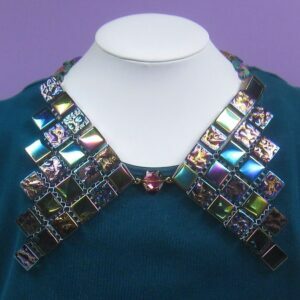 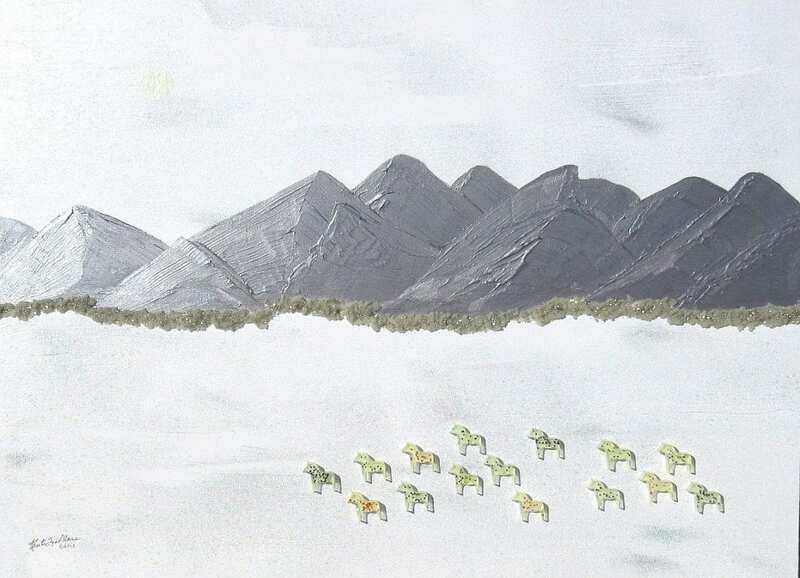 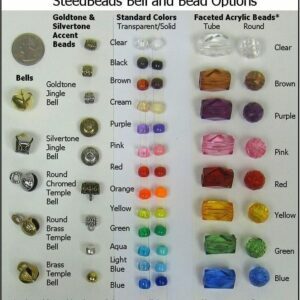 Their cross is rainbow-iridized Hematite. 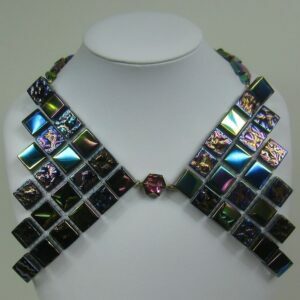 Many believe Hematite enhances healing, improves strength, enhances personal magnetism, increases courage, fosters optimism, and helps a person feel more grounded and thus better able to handle stress. It may . 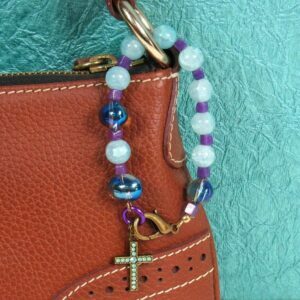 This set’s bronze-backed faceted purple heart Cruciform beads and rainbow-iridized Week beads add to its appeal and feel comforting in hand. 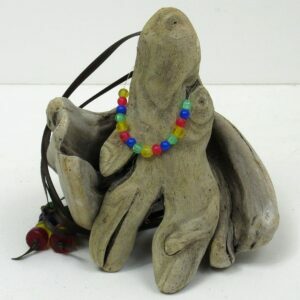 Another favorite is the Red Blue Capped Anglican Prayer Bead Necklace shown below. 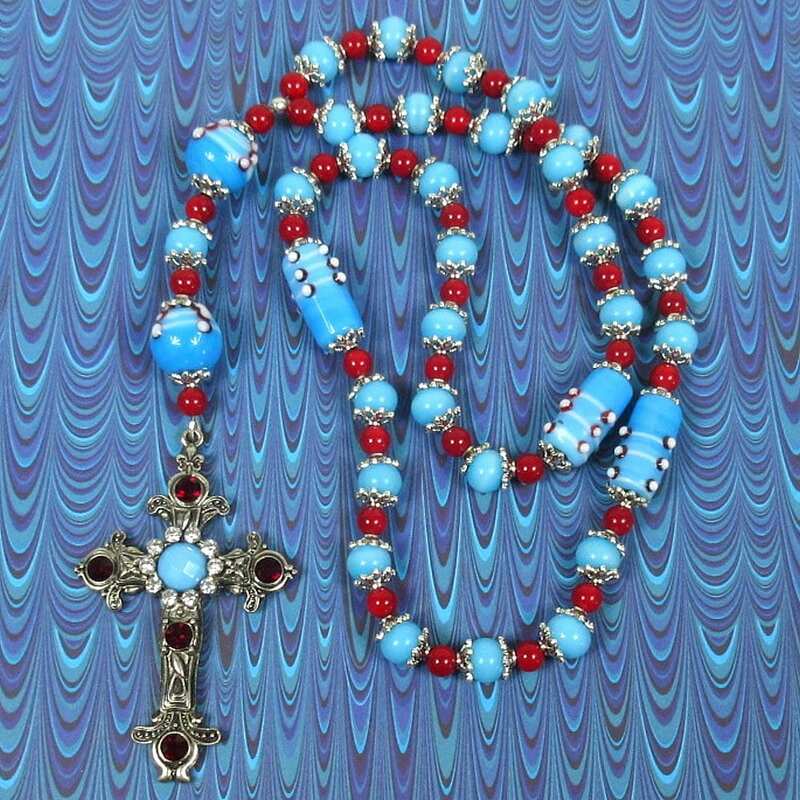 Sky blue lampworked Cruciform beads, blue cat’s eye round glass Week beads, red round glass spacer beads, and a red rhinestoned metal cross with a matching blue center are featured on this 18 inch Anglican prayer bead necklace. 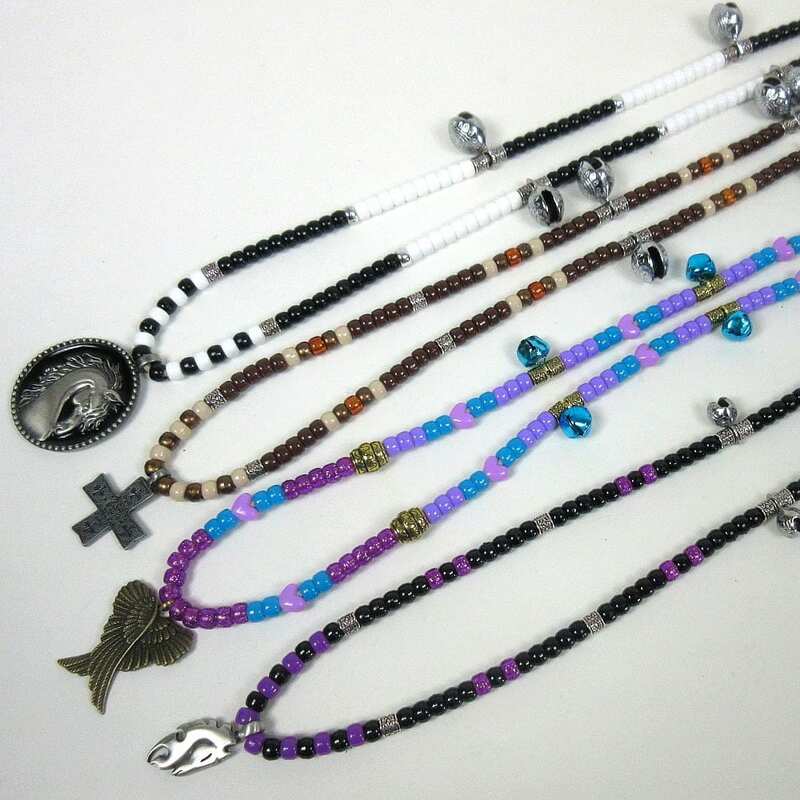 The Cruciform and Week beads are each flanked by filigreed pewter bead caps. 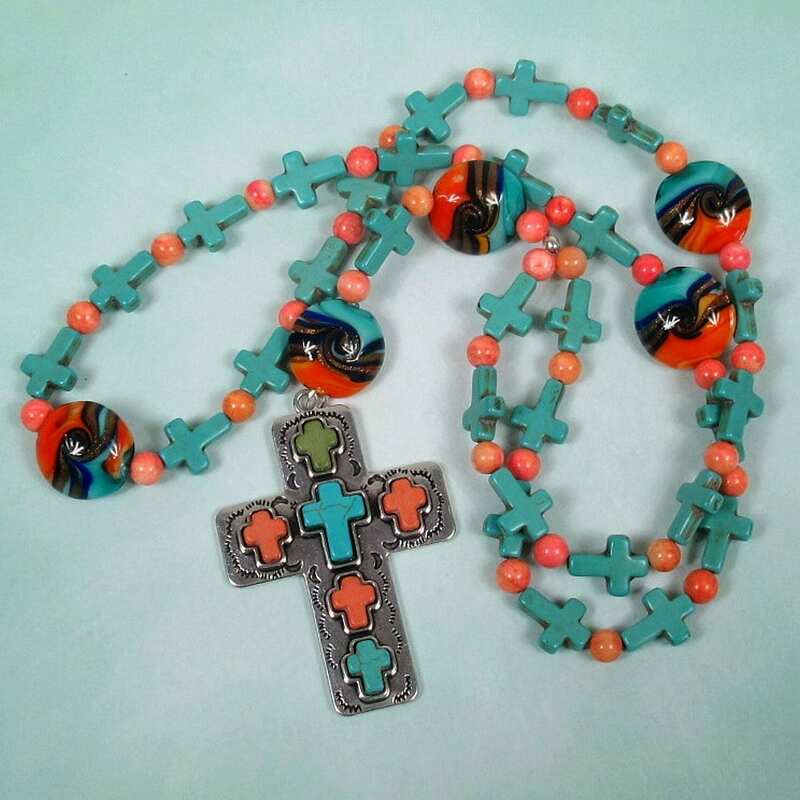 I love the way the cross matches the beads. 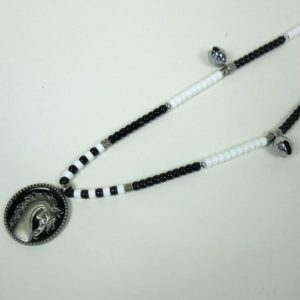 The bead caps also create a lovely effect on the lampworked Cruciform beads that look like they also have cascading caps of white lace held together by their red-backed white glass dots. 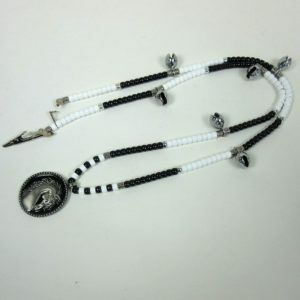 Another favorite is the Southwest Sunset Necklace Prayer Beads shown below. 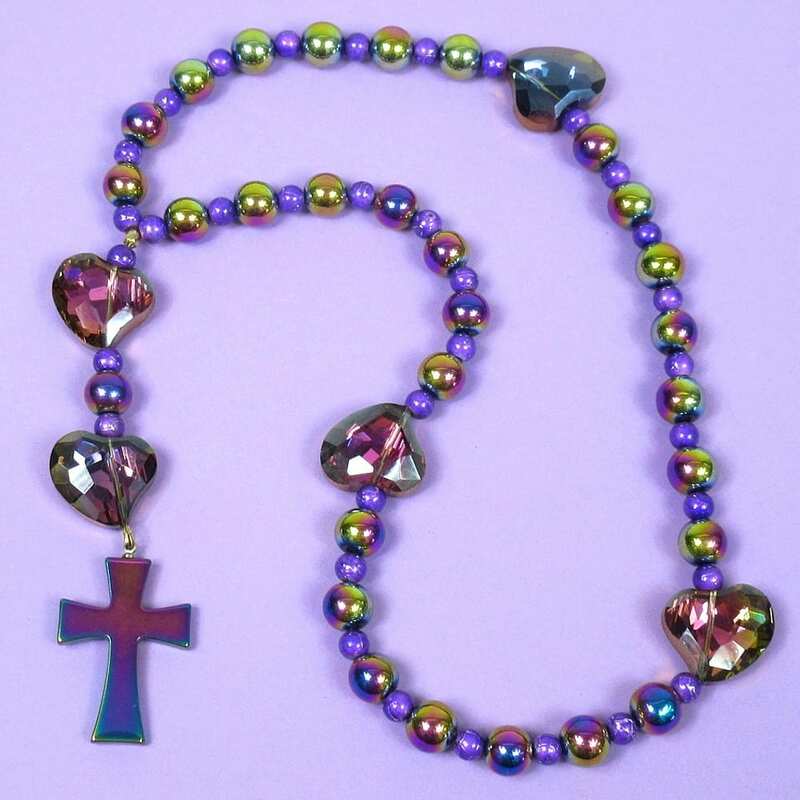 I love how the crosses in the cross are echoed in the Week beads. 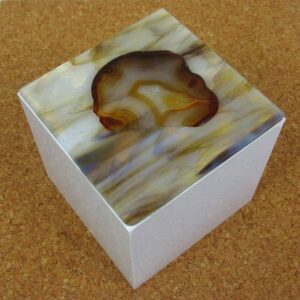 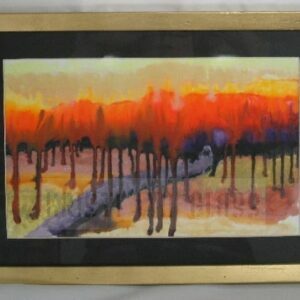 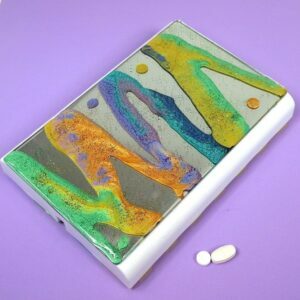 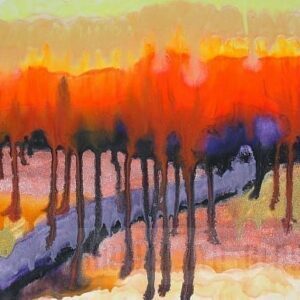 The glittery pillow-shaped glass cruciform beads remind me of a Southwest landscape at sunset. 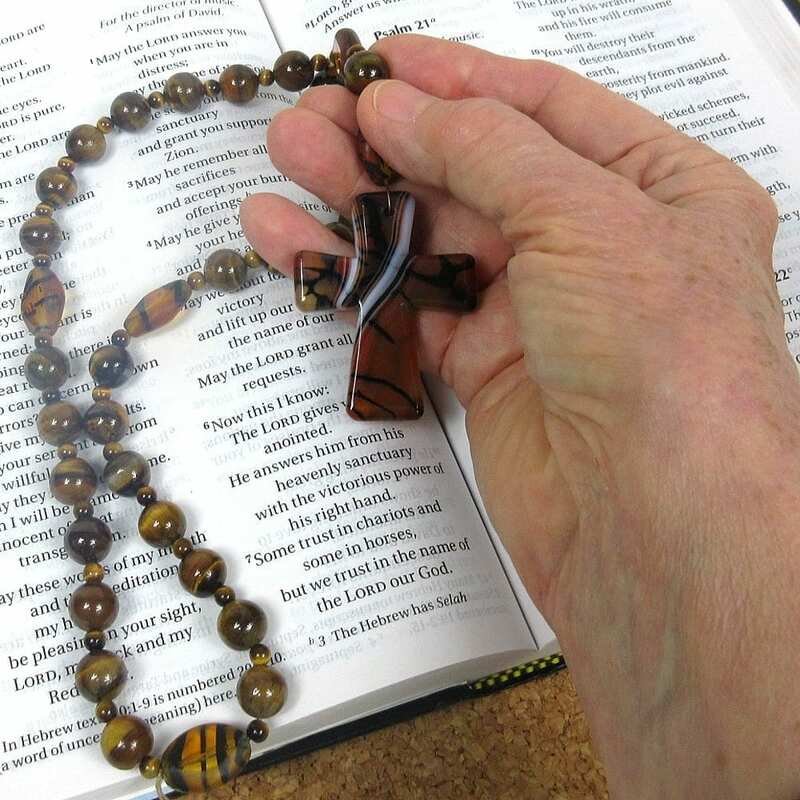 This striking necklace would be a lovely statement of faith, and it feels very special in hand during prayer time. 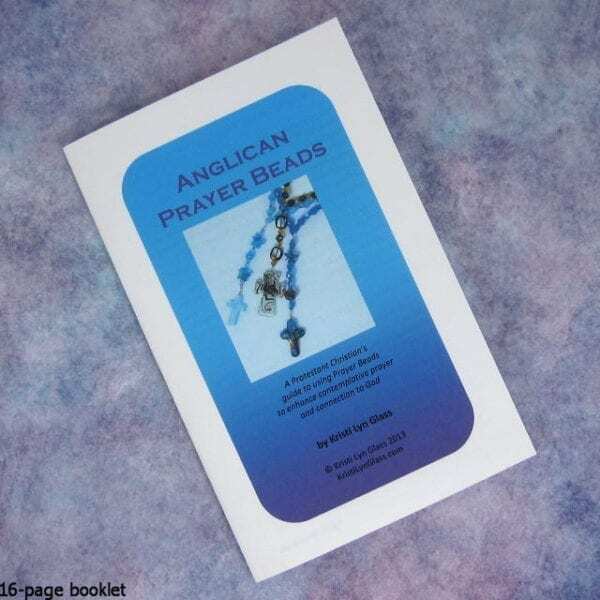 One last favorite (I could go on and on about these beautiful creations) is my White Shells Anglican Prayer Beads shown below. 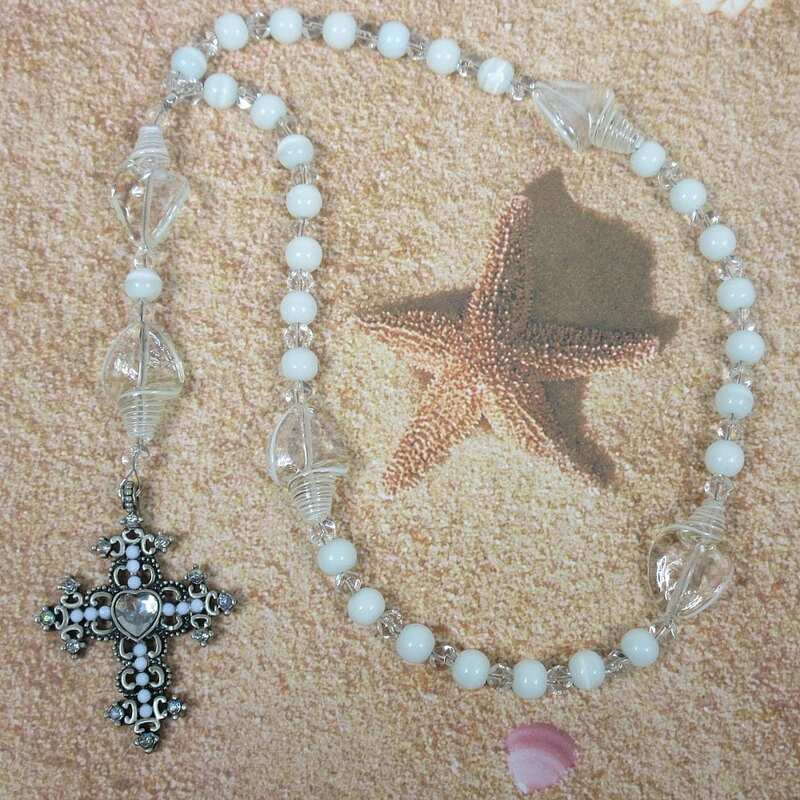 The flat base on each white-striped transparent glass shell Cruciform bead feels great in hand, and the rhinestone heart in the center of the cross perfectly echoes the shape of the shells. 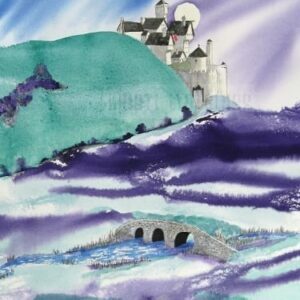 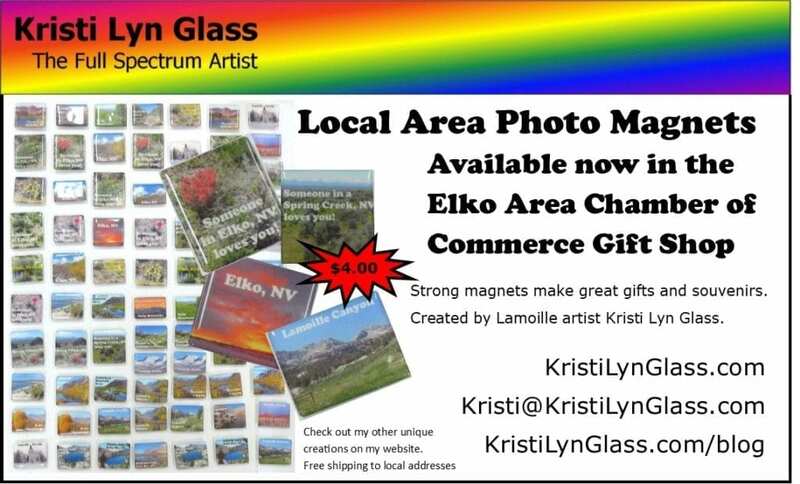 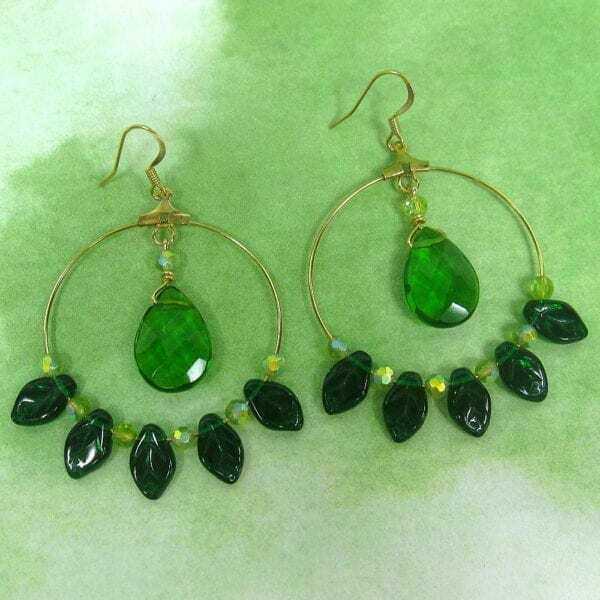 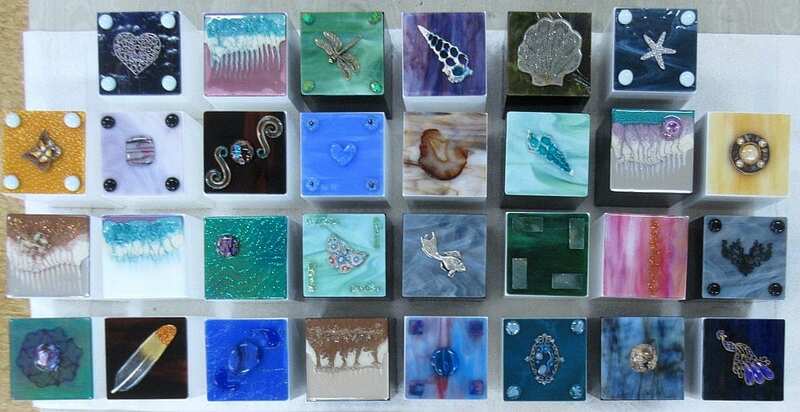 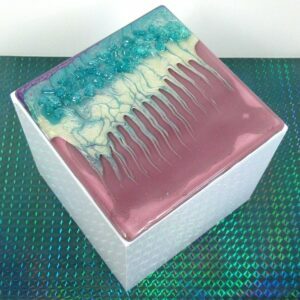 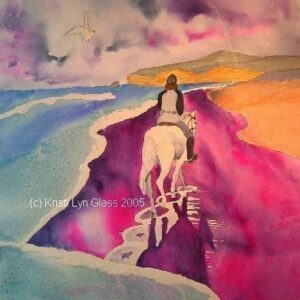 You may check out the details on all these new creations (and more) at my website. 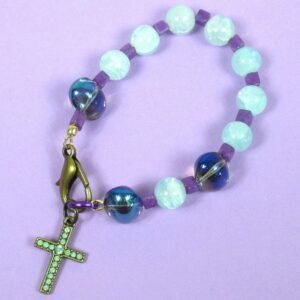 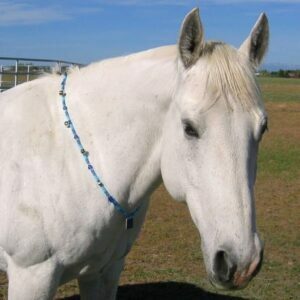 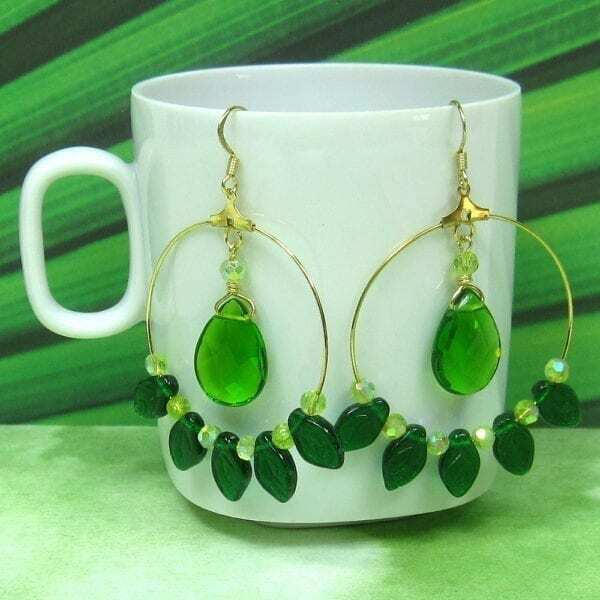 If you would like to be notified by email whenever I create a new batch of prayer beads, click here.